Redlands, California—BP received the Special Achievement in GIS (SAG) Petroleum Industry Award at the 2017 Esri International User Conference for demonstrating a consistent vision, technical leadership, business action and community outreach on a global stage. 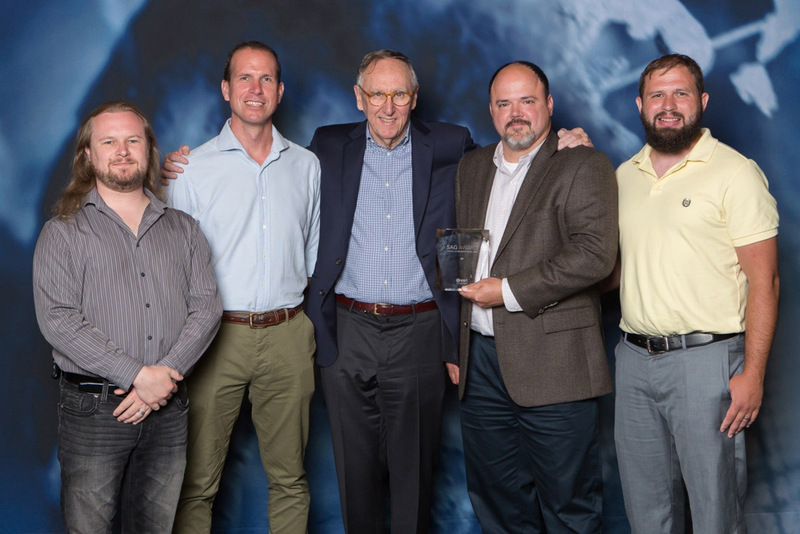 "We are honored to present BP with a SAG Award to showcase their outstanding achievement with spatial technology," said Jack Dangermond, Esri founder and president. "The Special Achievement in GIS Award recognizes exemplary organizations implementing spatial analytics technology to change the world. Highlighting the good work of users like BP benefits the entire GIS community, and that's very valuable." Esri is the global leader in spatial analytics helping over 350,000 organizations improve their operational and business results. BP was selected from a field of over 400 energy organizations. SAG Awards honor organizations for their vision, leadership, hard work and innovative use of Esri’s GIS technology. Every year, Esri staff nominate thousands of candidates from around the world for consideration and company President Jack Dangermond selects the finalists. For more on how Esri helps global energy companies, visit go.esri.com/pr-petroleum.